This year marks the 25th anniversary of the enforcement of the 73rd and 74th constitutional amendments, which gave official status to the Panchayati Raj institutions in rural India and Local Administrative bodies in urban areas, respectively. The Panchayati Raj, also known as local self-governance, provides a third tier of governance to India’s democratic setup. Not only did it serve the purpose of decentralization in the Indian political system but it also empowered women across the rural heartland of India, as the amendments mandated one-third of the total seats in all rural and urban local bodies to be reserved for women. The idea of the Panchayati Raj came from the ancient system of Panchayat, which means a group of five elderly people in a village who decide local matters. Leaders like Mahatma Gandhi, who believed that the soul of India lived in its villages, emphasized the need for strengthening Panchayats for the overall development of villages. Technical details aside, the Panchayati Raj institutions are the closest things possible to the ideal of a direct democracy. People have access to their chosen representatives at the local level, which helps provide smoother management of local-level critical issues such as primary education, primary health care, agricultural developments, women and child development, and women participation in local government. This arrangement helps in developing and strengthening the basic infrastructure and satisfying the basic needs of people residing in areas far away from power centers. Interestingly, Panchayati Raj institutions have proven to be a bridge between the central government’s policies and services delivered at the block and village level. 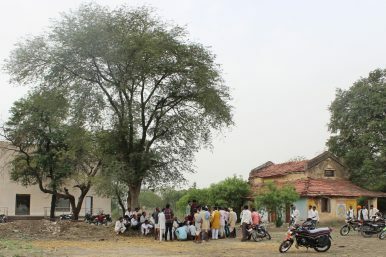 Before the 73rd and 74th amendments, villages and their administration were state subjects as there was no concept of local self-governance, at least constitutionally. The fundamental idea behind the Panchayati Raj institutions is to involve more people from the grassroots level in the democratic decision-making processes. No matter how well-intended or capable the leadership at the center or the state level is, if there is a lack of leadership at the village level, then it can leave a big developmental gap between the urban and rural areas. The central government created the Ministry of Panchayati Raj as a separate ministry in 2004 to ensure the implementation of Part 9 of the constitution.